McKibben, Bill. The Global Warming Reader. New York: OR Books, 2011. McKibben, Bill. Eaarth: Making a Life on a Tough New Planet. New York: Henry Holt and Company, 2010. McKibben, Bill, ed. American Earth: Environmental Writing Since Thoreau. New York: Library of America, 2008. McKibben, Bill. 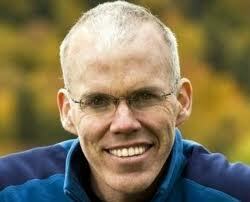 The Bill McKibben Reader: Pieces from an Active Life. New York: Henry Holt and Company, 2008. McKibben, Bill. Fight Global Warming Now: The Handbook for Taking Action in Your Community. New York: St. Martin's Griffin, 2007. McKibben, Bill. Deep Economy: The Wealth of Communities and the Durable Future. New York: Times Books, 2007. McKibben, Bill. The Comforting Whirlwind : God, Job, and the Scale of Creation. Cambridge: Cowley Publications, 2005. McKibben, Bill. Wandering Home. New York: Crown Publishing, 2005. McKibben, Bill. Enough: Staying Human in an Engineered Age. New York: Times Books, 2003. McKibben, Bill. Long Distance: Testing the Limits of Body and Spirit in a Year of Living Strenuously. New York: Plume, 2001. McKibben, Bill. Hundred Dollar Holiday. New York: Simon & Schuster, 1998. McKibben, Bill. Maybe One: A Personal and Environmental Argument for Single Child Families. New York: Simon & Schuster, 1998. McKibben, Bill. Hope, Human and Wild. Boston: Little Brown and Company, 1995. McKibben, Bill. The Age of Missing Information. New York: Random House, 1992.